Recognising those up and coming young stars making a mark in the African travel industry: From influential bloggers to passionate tour guides, top chefs to remarkable hotel personnel, tell us who you believe will lead the next generation of trail blazers. After much deliberation, these are the final shortlisted submissions for the Rise Africa category. Find out more details about your favourite submission here. 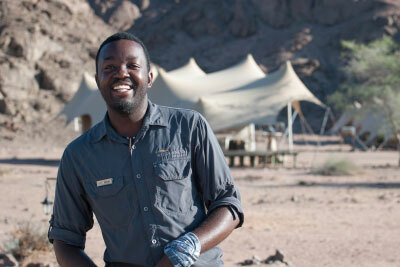 He is a rising star in Namibia and deeply committed to conservation and community empowerment. His passion for educating youth about the importance of conservation is commendable and working with Children in the Wilderness during his ‘down time’ indicative of his endless energy and passion to make a difference. Anita has been with Wilderness Safaris for over 2 years. 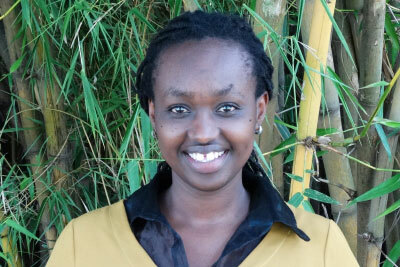 Her appointment as the Camp Manager for Wilderness Safaris’ new Magashi Camp will make her the first female in Rwanda to manage a high-end safari lodge. From the most unlikely of scenarios, Franco has risen to become one of Namibia’s most respected naturalist guides, with recognition in both local and international fora. 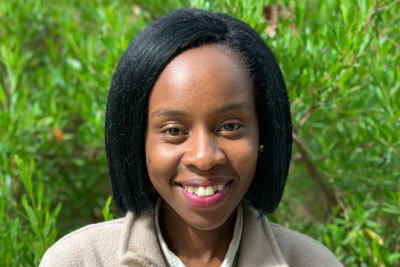 Gorata has been working in the travel industry for Desert & Delta Safaris for two and a half years. Before entering the industry, she was a special education teacher, focusing on teaching sign language for children with hearing disabilities. Sam Madeleine’s role is in Guest Relations. He has made a significant impact on guests and on Blue Safari Seychelles, whilst making an impact on the industry overall. 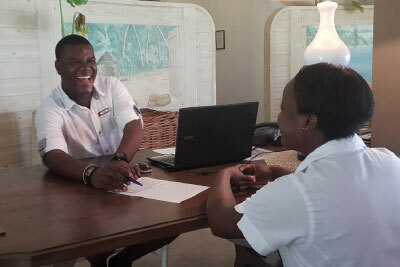 He has increased repeat business as Blue Safari Seychelles’ guests return to experience the islands and atolls due to the unforgettable experiences. Growing up just 7km from &Beyond Kichwa Tembo Tented Camp, Jackson’s first exposure to tourism and conservation was at primary school, during Conservation Lessons led by &Beyond guides. Inspired by the opportunity to visit the Masai Mara that these lessons provided, Jackson grew up with a passion for wildlife and conservation, as well as the driving desire to share his passion with others. After high school, he went to work at &Beyond Kichwa Tembo, embarking on the company’s guide training course. Jackson initially qualified to work as a naturalist, leading nature walks from the camp and teaching guests about Maasai culture, part of his Siria heritage. Exhibiting the perseverance he would come to be known for, Jackson went back to complete his guiding training, standing head and shoulders above the other trainees. His thirst for knowledge, hard work and willingness to teach others made a huge impact on his peers. Those same characteristics, as well as his broad knowledge, caring nature and dedication, soon made a similar impression on his guests. 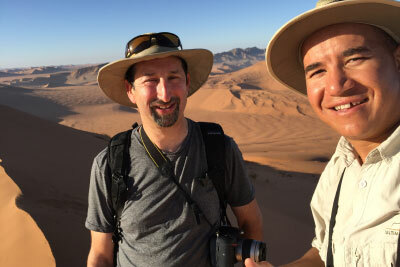 Expert at establishing a genuine connection with others, Jackson effortlessly delivers an enriching experience that combines conservation and wildlife knowledge with cultural and community elements. He is very involved with &Beyond’s community development partner, Africa Foundation, and his passionate advocacy has resulted in his guests contributing funding to the development of a local school, including the building of a dining hall. From humble beginnings, Jackson has grown into passionately spreading the message of conservation and community development through tourism. Yvonne Bahlangene, or Vovo as she is affectionately known, learned the hospitality trade when she was studying in Australia and worked at a restaurant called JoJo’s in Brisbane, where her sunny disposition and the power of her smile charmed even the most difficult customers. Zimbabwe called Vovo home in 2014, where she began working as a hostess at Somalisa Camp. Her bubbly personality and enthusiasm draws guests in and makes them feel like family, enchanting them. Guests return time and again because of the warm welcome they receive from Vovo. She creates an ambiance of geniality that is the key to making a safari a memorable African experience. Using her natural charisma, Vovo unravels a wilderness adventure that exceeds guests’ expectations, and shows them the true spirit of Africa. Vovo’s mentor while she worked in Brisbane was Australian hospitality icon, Stefan Ackerie. Stefan taught Vovo about the importance of giving back to the community, so it was only natural for Vovo to become passionate about the charitable side of the industry. Yvonne became involved with the African Bush Camps Foundation, engaging with guests about the importance of giving back and sustainable tourism practices. Vovo’s interactions with guests serves to affirm our shared humanity and enrich curious, energetic safari travellers open to discovery. Through her ambassadorship of the African Bush Camps Foundation, Vovo paves the way for visitors to Africa to be a conduit toward prosperity & development for the continent and to help us preserve our continent’s heritage.